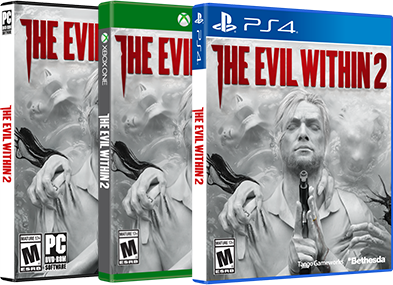 Time is not on your side in The Evil Within 2. As Sebastian Castellanos, you will face unimaginable terrors as you fight to find your daughter within the nightmare of STEM and get her out safely before the entire system crumbles around you. On top of the hideous creatures that roam the streets, you’ll also have to contend with the likes of Stefano and Theodore – twisted individuals who have made their horrific homes inside of STEM and are warping the weakened world to suit their wills. Should the world be completely destroyed, there won’t be any escape for Sebastian or Lily. But Sebastian isn’t completely alone; several Mobius agents have also made their way into STEM and may be willing to offer some help. See the ruined world and a few of these agents in the latest trailer.